With the number of roads and highways throughout the U.S., it's impossible for every one of them to be safe all the time. As a result, thousands of people are injured or killed each year due to dangerous road conditions. Choose Nash & Franciskato in Kansas City to represent you in your highway defects case. 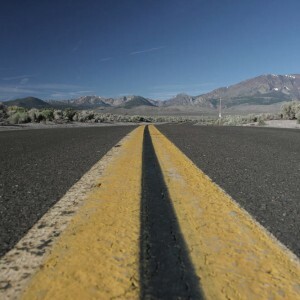 Highway defects are more than just poor road quality conditions. Our highways, roads, and streets suffer from numerous hazardous conditions ranging from missing roadway signs to faulty traffic control devices, broken guardrails, construction zone defects and more. Guardrail accidents, construction zone accidents and other highway accidents often result in tragedies such as rollovers, head-on collisions, crashing into construction equipment, and truck jackknifing accidents. Government entities maintain our roads and highways. However, responsibility for your accident may go beyond these groups. Contractors that work on our roadways may also be liable for failing to follow the rules or for an inappropriately designed highway. Very specific laws and limitations often apply to cases involving dangerous roads, highway defects and other unsafe conditions. You need a lawyer who has experience negotiating with local or state government entities and their contractors, who will advocate on your behalf, and who will obtain the maximum compensation for you and your family. In cases involving highway defects, you want a personal injury lawyer in Kansas City who understands the relevant statutes to evaluate your case. You also want someone who is prepared to invest considerable resources in investigating your claims. Experience with mediation and arbitration, as well as the willingness to try the case before a jury, may also be essential to obtain maximum compensation in your case. You can count on these qualities with the Nash & Franciskato Law Firm legal team. $2.5 Million Wrongful Death Arbitration Award against the Missouri Highway and Transportation Commission for inadequate signing in a construction zone. $1.5 Million Settlement when a client suffered severe permanent lung injuries after losing control of his vehicle upon encountering a four-inch pavement edge drop-off. If you believe your automobile or truck accident was due to unsafe road conditions, contact us for a free, no-obligation evaluation of your case. What are Standard Highway Signs and Markings? The Manual on Uniform Traffic Control Devices, or MUTCD, defines the standards used by road managers nationwide to install and maintain traffic control devices on all public streets, highways, bikeways, and private roads open to public travel. The MUTCD, which has been administered by the FHWA since 1971, is a compilation of national standards for all traffic control devices, including road markings, highway signs, and traffic signals. Who is responsible for ensuring the safety of our roads? The Missouri Department of Transportation (MoDot) is responsible for road construction throughout Missouri and is charged with keeping the roads and highways in a safe condition. The MoDot website contains information regarding current construction zones, driver safety tips, and traffic accident statistics. The Federal Highway Administration is the agency within the U.S. Department of Transportation responsible for assisting state and local governments with guidelines for the safe design and construction of roadways. They monitor car accidents and make regular inspections of accident scenes where road design, maintenance, or defects are contributing factors.